For over 40 years Fred Haskett has been growing businesses in the “Green Industry”. After leaving Ohio State University in 1977, he first worked in a small local Garden Center for a few years until he founded a Residential Lawn Care Company in his hometown of Dover, Ohio. Fred grew GreenWorld Lawn & Landscape Management from a one man-one truck operation in 1980, into a Multi-Faceted firm with revenues of 2 million, providing Residential Lawn & Tree Care and Full Service Commercial Landscape Maintenance by 1990. Since 1990 Fred has had the opportunity to work with some of the most outstanding organizations in the Green Industry “The J C Ehrlich Green Team” “The Brickman Group” “The Valley Crest Companies” “U S Lawns, and most recently Landscape Development, Inc. in Valencia, CA. He has served as President Vice President, Regional Manager, and Division Manager and has had P&L responsibility for Multi-State / Multi Branch operations with revenues exceeding $45 Million annually. During his career, Fred has directly managed the sales and production of over $70 million in lawn care services and $ 180 million in landscape services. As Head Harvester, with the Harvest Landscape Consulting Group, Fred coaches and consults with owners of small, medium, and large Lawn Care, Tree Care and Landscape companies. He loves the Green Industry and the people in it. Today, he spends his time helping folks like you, “Harvest Your Potential” by developing new methods to properly manage and lead a successful enterprise. Fred has had extensive experience in several areas of the “Green Industry” Including Residential Lawn and Tree Care Operations, Full Service Commercial Landscape Management, Design Build, Arbor Care, Water Management, and Snow and Ice Removal. In addition, he has extensive experience in Franchise System operation and development. He is a “Landscape Industry Certified Manager” thru the “National Association of Landscape Professionals (NALP), a “Certified Turf Grass Professional” thru the “University of Georgia” and a “Certified Arborist” thru the “International Society of Arboriculture” (ISA). 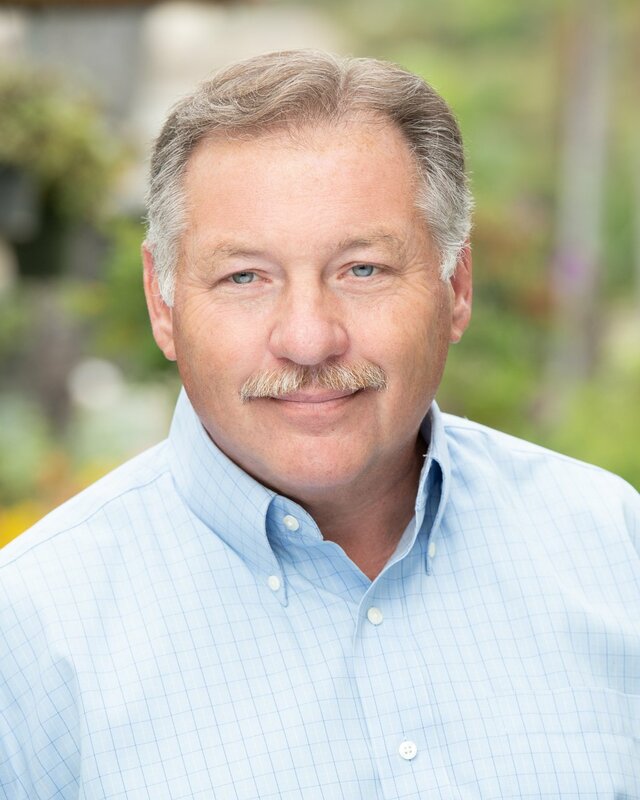 Fred currently serves on the Board of Directors of Project Evergreen and on the Government Affairs Committee for the “National Association of Landscape Professionals” (NALP) a national organization of over 4,000 Lawn and Landscape Companies. In 2006 Fred was honored by his peers by being named a TRAILBLAZER for Lifetime Green Industry Achievement by the “National Association of Landscape Professionals”. A published Author, Fred wrote “Containment System Design” A guidebook for chemical storage, mixing and recycling. Published in 1995 by Advanstar. In addition, he has written articles for Lawn and Landscape Turf Lawn Care Industry and Landscape Management” magazines” Since 1989 he has been a speaker at dozens of National and State meetings and Conferences. Fred also served for three years on the Seminar Faculty of the Golf Course Superintendents Association of America. Fred and his wife Kelly divide their time between Port Hueneme, CA aboard their 36’ sailboat Touché and their home in a small town in Missouri, called Lake St Louis. They spend their leisure time sailing in the Caribbean and Pacific, chasing their eight grandchildren, intruding into their two children’s lives, and trying to break 100 on the golf course..
From eight branch offices in three states, producing 6.25 Million in sales, and a (-3%) annual loss. To 28 franchise operating units generating $14.88 Million in 2009. Improved net profitability from an average of 8.5% to an average of 12%. Improved net profitability (EBITDA) by 31% from 9% to 13%. Improved enhancement penetration by 6.6% to 40%. Reduced administrative expenses by 7.3%. Improved client retention from 80% to 99%. Achieved base contract portfolio growth of 20% year over year.